one of the critical factors besides OPEX based spending on IT infrastructure and other reasons. Even though Cloud Computing costs are coming down, organizations are looking for further cost efficiency. If you don’t do the proper due diligence or planning when consuming the cloud resources, it’s like as a tap left running overnight. If you are short of skills internally to do the due diligence, you can always engage Cloud Services/ consulting companies. Here are the top five tips to reduce your Cloud bill. These tips applicable to any public or private cloud solutions live Microsoft Azure, Amazon AWS, VMware vCloud, Rack space etc. If you have migrated on-premises workloads to cloud without doing the due diligence on workload sizing, you end up paying huge cloud bill. Same logic applies when provisioning new workloads in cloud. For example, SQL recommended memory size might be 16 GB but in reality, you might need just 8 GB as you have small database which doesn’t perform many transactions. Some of the tools you could use to right size the workloads are VMware vCenterOperations Manager (VCOPs, now it’s vRealise Ops), Veeam ONE etc. As most of the cloud providers charge per hour or minute level granularity for Cloud services, if a particular application support hours are Monday to Friday 8 AM to 6 PM, schedule the jobs to stop the virtual machine outside of business hours and start during the business support hours. Assuming that you have 100 standard VMs (2 cores/ 3.5 GB RAM), it costs $13,392 per month to run them 24x7. If you do your due diligence, schedule virtual machine start and stop to keep them on only during the business hours, you only pay $3960 per month. It's approximately $10K per month, $100K per annum (70%) savings. 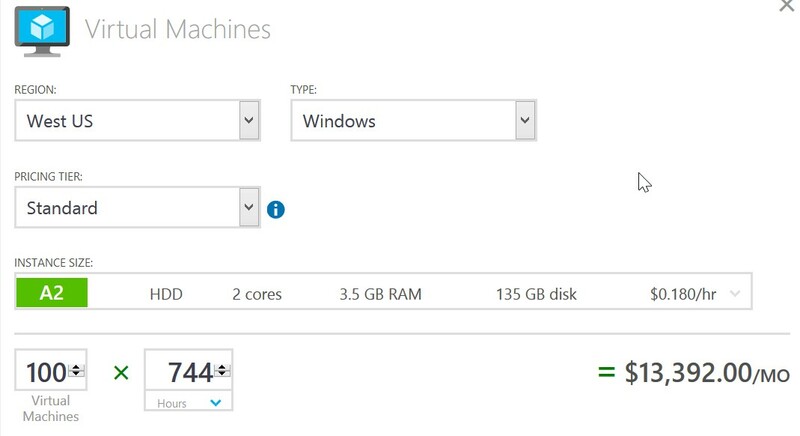 Note: These Cloud cost numbers are picked up from Azure Pricing/Cost calculator. Similar kind of numbers can be picked for AWS cost comparison. 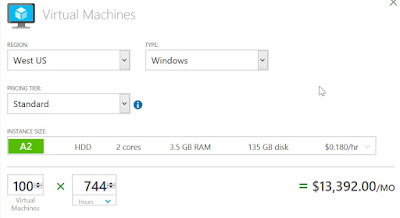 Using the MicrosoftAzure Automation Solution, you can automate the Azure based virtual machines stop and start. I am sure other cloud provides similar kind of tools or you can easily automate this. Look at the opportunities to consolidate various applications into a single virtual machine or explore to use Containers which enables you to pack multiple applications into a single physical or virtual server. As most of the Cloud providers charge customers for the storage they use irrespective of whether the Virtual Machines are powered-on or not, it’s recommended to review the file system usage at operating system level and shrink the drive size accordingly. Sizing tools like vRealise Operations can help you here. This exercise will reduce the significant storage costs. If your Infrastructure Cloud vendor is charging per GB for data stored (data at rest), review the backup retention periods for production and development workloads and also ensure that appropriate backup exclusions are in place. You can apply these strategies for cost lessening to any cloud supplier like VMware vCloud Air, Microsoft Azure, Amazon Web Services (AWS) or any of your local cloud suppliers. 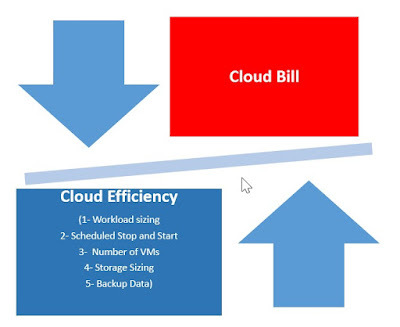 Nice tips to cut cloud costs. VMware is little expensive for me. Is there any alternatives to VMware which is good enough as compared to VMware and less expensive. Thanks for explaining the concept so easily. Great! Splendid work. Will visit your blog again for storage tutorials. Well written post. I appreciate your guidance for sharing about migration to cloud. I really need to know about it. Great work!